You might think big-name brands have all the advantages, but there is at least one area where small businesses have the opportunity to shine the brightest — personalization. Because of your small size, your connection to the community you serve and your niche market, it’s much easier for you to personalize your marketing approach. And while that might not seem like much, it’s actually a big deal. The majority of consumers — 74% to be exact — say they’ve been frustrated by getting irrelevant content delivered to them. And who can blame them? The problem with big brands is that they have to appeal to such a wide audience that their content tends to come off a little stiff and generic. If a consumer can’t relate to the content, then they’re not going to buy in. That’s why personalization is so important in marketing. When you take the time to tailor your content to your audience, you are rewarded big time. Marketers have reported seeing a 56% higher engagement rate and 43% more customer conversions thanks to personalization. Clearly, it’s time to get a little more personal. Addressing a customer by name in an email and engaging with your audience on social media are some of the easiest ways to get a little more personal. But you probably already thought of that. 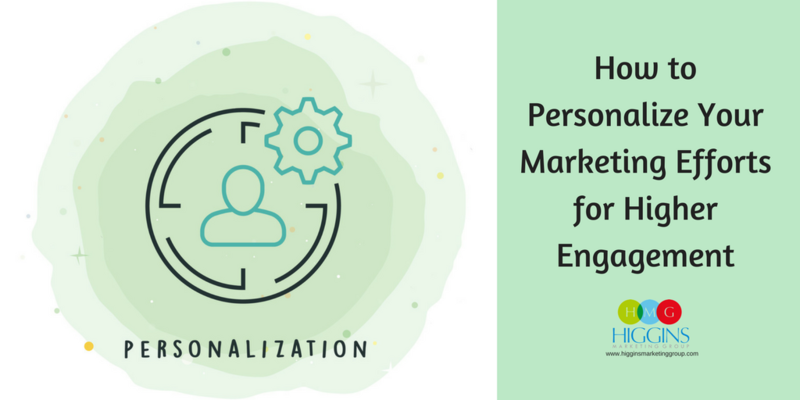 So here are a few other ways to personalize your marketing that maybe you haven’t considered. Build buyer personas. The better you know your audience, the easier it will be to really speak to (not at) them. “Buyer persona” is just a fancy term for a semi-fake client that you create based on market research and info from your existing customer base. You’ll include demographics, interests, behaviors, goals, etc. for your persona, which will give you a clear image of who exactly you’re targeting. With this knowledge, you’ll be able to tailor your messages much better. Play on emotion. At the end of the day, we’re all humans with feelings. And most of the time, the decisions and purchases we make are fueled by emotion. Use that to your advantage! 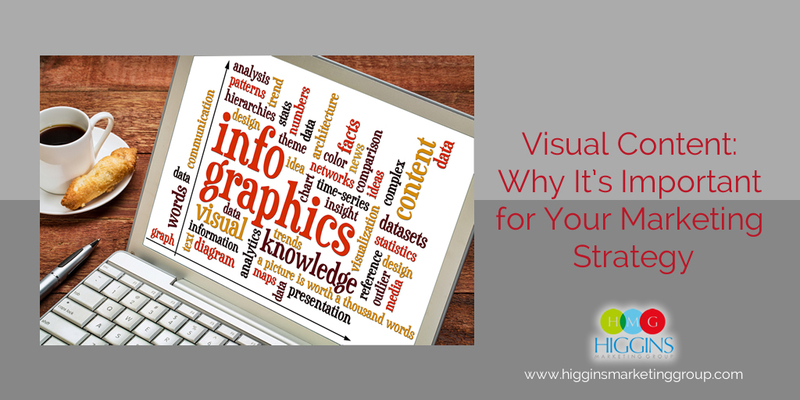 Put the cold hard data aside for a minute and really focus on telling a story with your marketing efforts, one that is going to tug on the heartstrings of your audience. Employ some excitement, take them on an adventure, solve one of their problems. The connection your audience will feel with your brand afterward will translate into more engagement and loyalty. Let your personality shine. Another great way to make your content more personal is to simply be yourself. 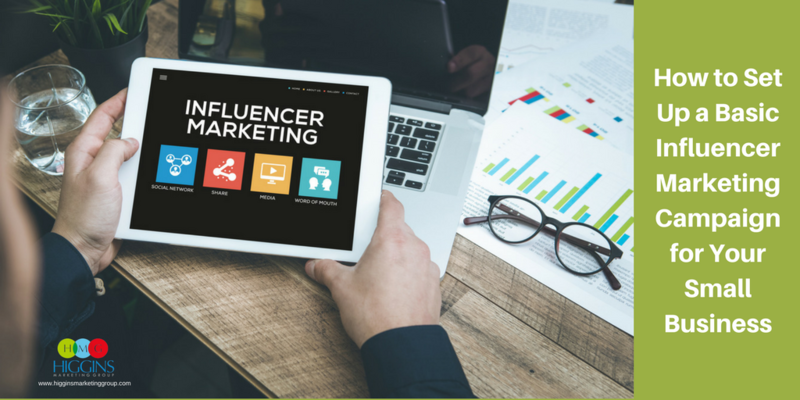 You have a unique voice, and that can be your greatest weapon when it comes to content marketing. Show your audience who you are — use your own voice, give them some behind-the-scenes looks at your business. Maybe you share some personal tidbits every once in awhile, even if they’re not 100% related to your business. It goes a long way toward building trust and helps your customers feel like they really know you. Give these three ideas a try, and if you need any other advice on marketing strategy or web development, give us a call! We’d be happy to partner with you on developing a comprehensive marketing strategy that fuels your business’ growth.